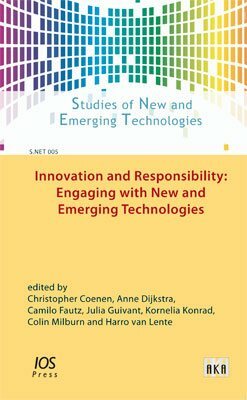 The contributions to this volume engage with diverse aspects of responsible innovation, reflecting on its history and its current form, reporting on success stories and critical discussions, pointing out shortcomings and obstacles, and analyzing the grand narratives that shape discourse on new and emerging fields of technoscience. They scrutinize the roles of major actor groups, including regulators, scientists and civil society organizations, while also addressing key issues of public engagement and participation. In addition to nanotechnology, several other fields of research and development are addressed, such as biotechnology and neuroscience. “Innovation and Responsibility” constitutes the fifth volume showcasing the research activities of the vibrant, multidisciplinary community of S.NET, the Society for the Study of Nanoscience and Emerging Technologies.